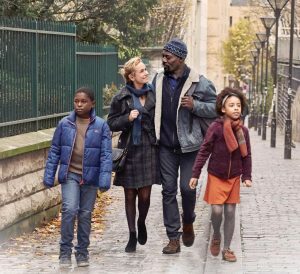 Cannes Jury Prize winner Mahamat-Saleh Haroun (A Screaming Man, Grisgris) takes a dark yet compassionate look at illegal immigrants struggling in the lower depths of Paris. Far from a picture-postcard journey the film is something closer to a season in hell — especially for a grieving father whose fate depends on the mercy of the authorities. Yet as tough as it is, France is also warm and subtly heartbreaking, offering a moving vision of life for those stuck in legal and emotional limbo. The subject matter has a topical urgency. Haroun was born in Chad but has lived in France for over 30 years.